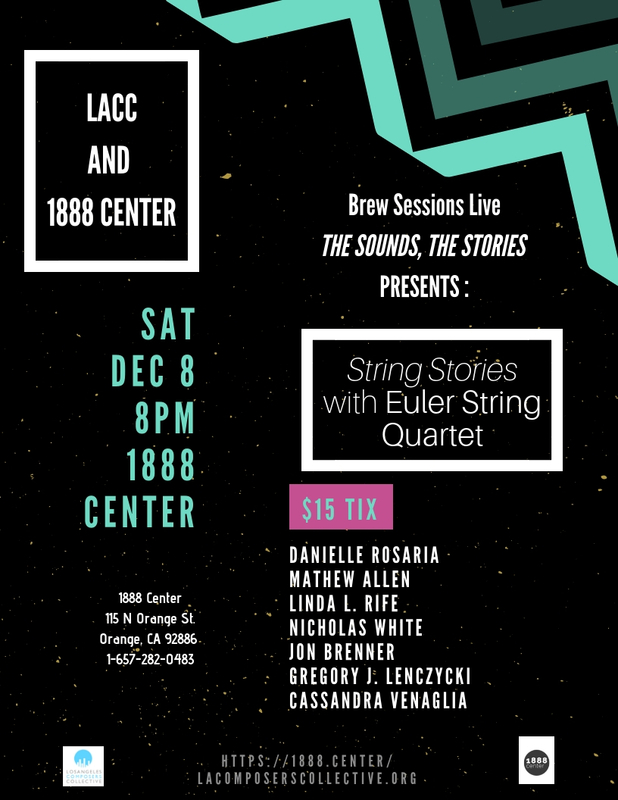 String Stories will feature string quartets written by LACC composers featuring text as a guiding force. They will be performed by the Euler String Quartet at 1888 Center. Join us for some draft coffee from Contra and enjoy the merging of words and music in part one of our three-part interdisciplinary series!